So much yarn, so little time. 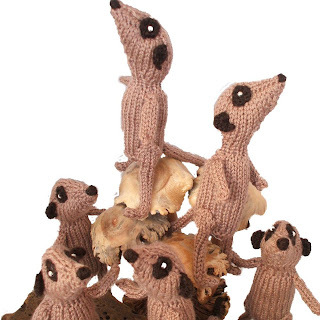 : World Tour Meerkat Giveaway News! Wow! Alchemy brought such a lovely haul home with her from her tour that I am going show you the prizes over several blog posts, and remind you of the adventures along the way. Of course, Alchemy didn't start the tour until after poor Treasure went missing, so it's only fair to start with Treasure's part of the story. Sadly all her souvenirs got lost too, of course, but her hosts have kindly supplied some replacements, as you will see. Her first host was CuteDesigns, where she partied with the plushies and picked up a travelling companion, a cute amigurumi acorn. The prize package will include details of where to buy your own little amigurumi friend. Now Treasure began her overseas adventure, and soon arrived in Israel where Arosha brought out the masculine side of this little meerkat, sunbathing on the beach and helping with metalsmithing. Arosha has replaced the lost brooch with a 10% discount voucher for either Arosha or Sleeks. Treasure liked Israel, so stayed a while longer. Her next visit was with Inbaliya where she celebrated Shabat and had acupuncture to help her travel sickness (yes, really. 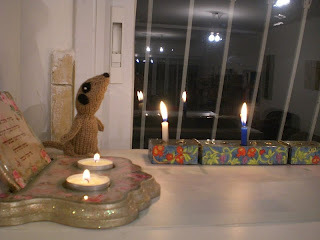 The meerkat had acupuncture. Follow the link to see the photos) Inbal made a little sleeping bag for Treasure, but has replaced it for the giveaway with a 10% discount voucher. Next Treasure went to visit SpringColors in Jerusalem for a Happy Hanukah! Treasure took away a fabulous beaded pendant which has been replaced in our giveaway by a $30 voucher for Springcolors. After leaving Israel Treasure headed North to Estonia to visit 5erg. After leaving Estonia, disaster struck! Treasure was on her way next to Turkey, to stay with Meltem who had plans for many adventures. Sadly, we had to declare a Meerkat Emergency, because Treasure didn't arrive. and after a while, decided that it was best for Alchemy to bravely take the place of Treasure. 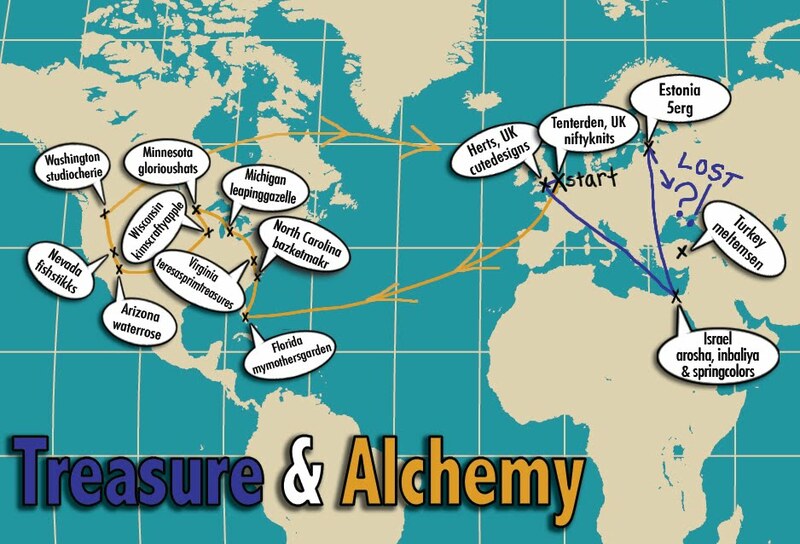 Alchemy set off for the USA, to MyMothersGarden, and we all expected Treasure to turn up in Turkey one day and continue with the tour. Sadly, poor Treasure is *still* lost, so please keep an eye out if you're over that way. 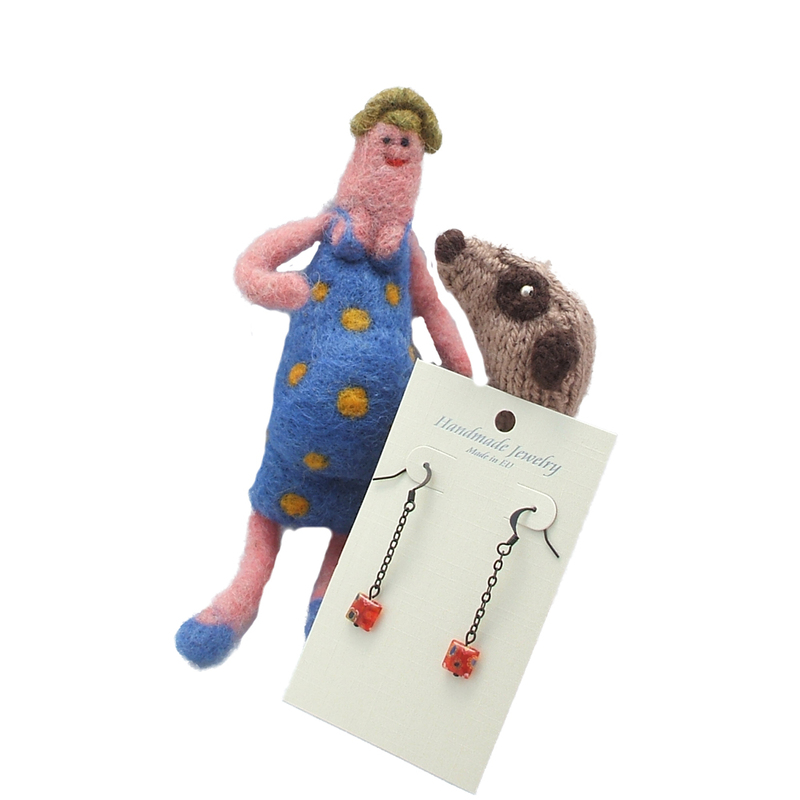 5erg has also sent replacement gifts: a felted lady and a pair of earrings. Meltem very kindly sent a prize even though she'd been missed out of the tour: a beautiful sterling silver high heeled shoe necklace and *5* 10% discount cards. As you can see, this did cause a little confusion. 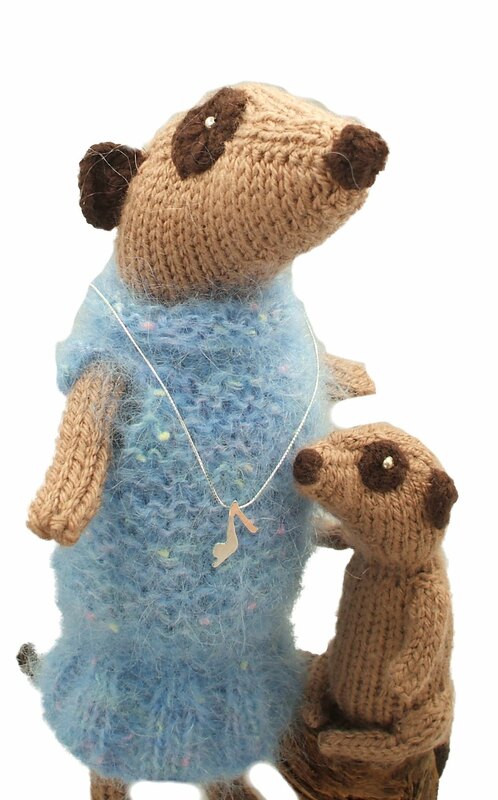 Alchemy's mum (pictured) thought the necklace was a homecoming gift from Alchemy to her! We've explained to her that the souvenirs you've seen so far are just a FEW of the prizes for our giveaway that Alchemy will take with her to her new home. There are many more prizes to show you, and many more reminders of the adventure before we get to the giveaway itself...so I'll see you tomorrow, I hope! Oh, poor Treasure, still so sad to learn she is still trapped or kidnapped somewhere (or is that meernapped?). How lovely of her host sponsors to send items/coupons to accompany Alchemy. A wonderful synopsis of the early portion of the trip. I really enjoyed following each visit and this recap brings all those adventures to mind. 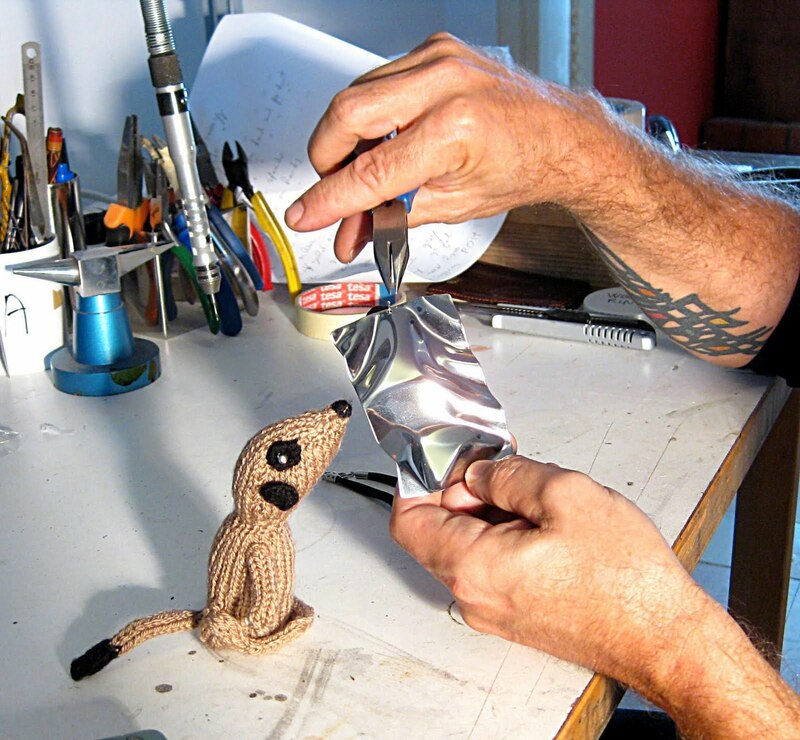 I think this little fellow holds the record for world travel among meerkats! Nice job, and look forward to the next installment. Great recap of the adventure! So glad everyone was able to refill the treasures. what a fabulous story! thanks for letting us all get in on this great adventure. So nice to see the total adventure together like this Heather!!! Can't wait to see the whole trip! Nicely done! This is wonderful story Heather. 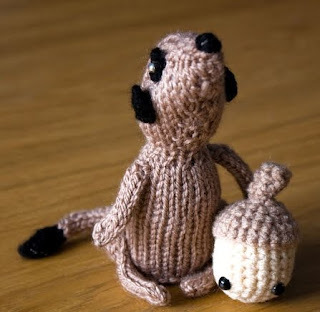 I'm still so sad for lost meerkat. Thank you very very much for hosting this. Good luck everyone for great giveaway!